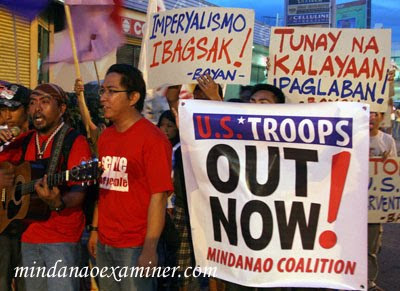 DAVAO CITY, Philippines (Mindanao Examiner / June 12, 2010) - Militant groups Bagong Alyansang Makabayan and League of Filipino Students staged a protest Saturday in Davao City in the southern Philippines and denounced the continuing presence of US troops in the country. 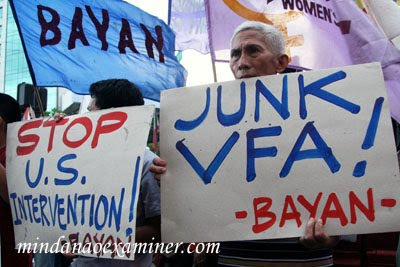 The groups also denounced the Arroyo administration for its subservience to the unfair agreements imposed by the United States. 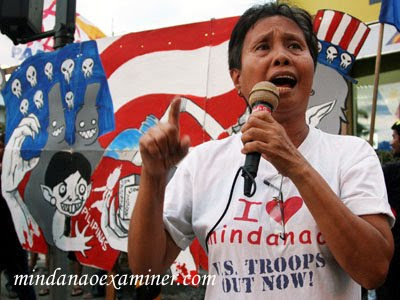 The protesters challenged the incoming Aquino administration to have a stronger stance in defending national patrimony and sovereignty. US troops are training Filipino soldiers in anti-terrorism warfare and have been helping the military defeat communist insurgency and Abu Sayyaf group, including Jemaah Islamiya in Mindanao and other parts of the country.